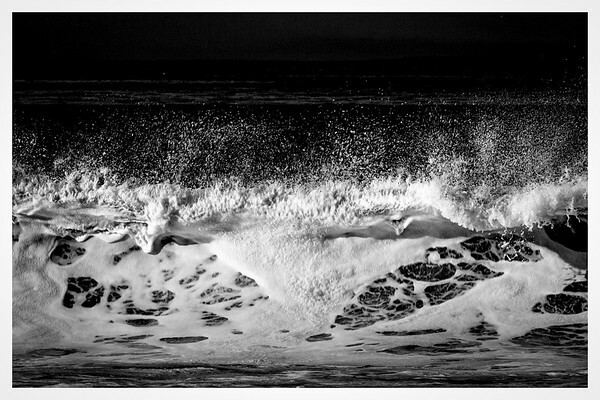 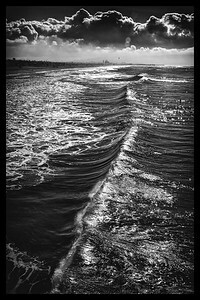 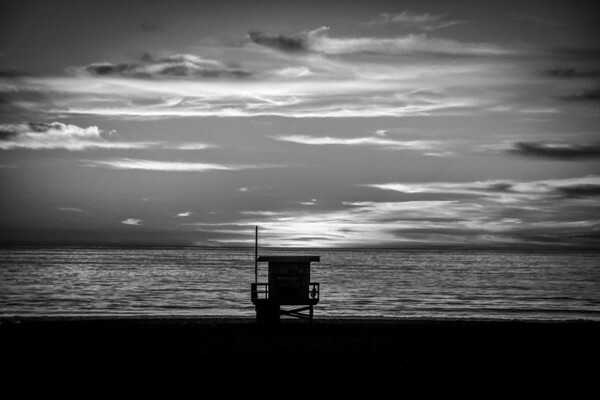 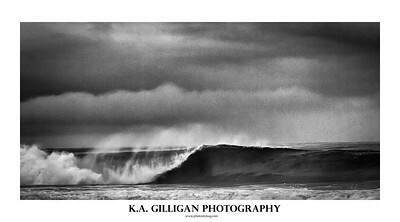 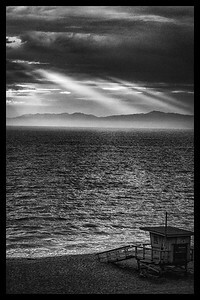 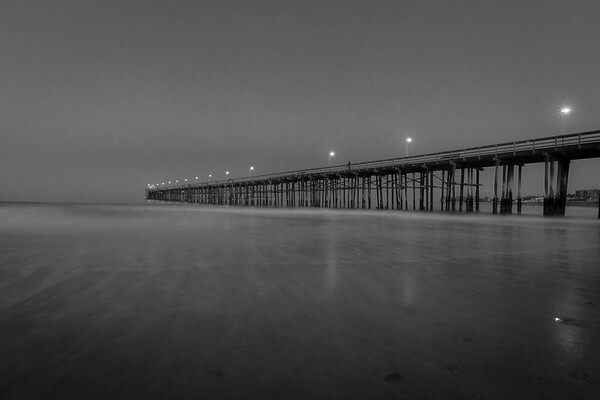 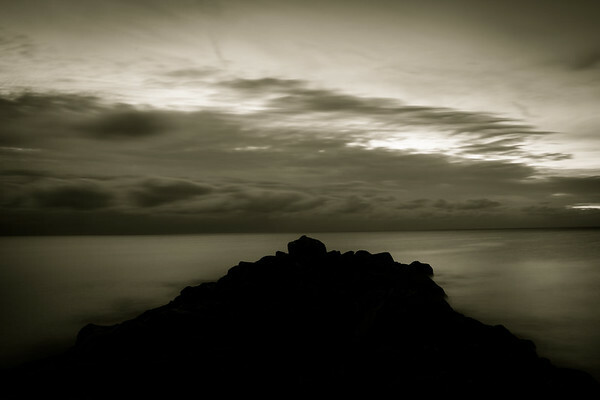 Black and white images from L.A.'s South Bay and beyond. 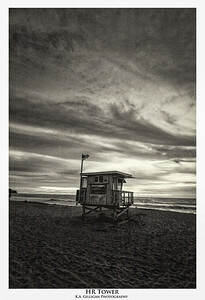 HR Tower, Torrance Beach. 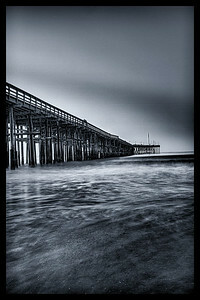 Torrance, CA. 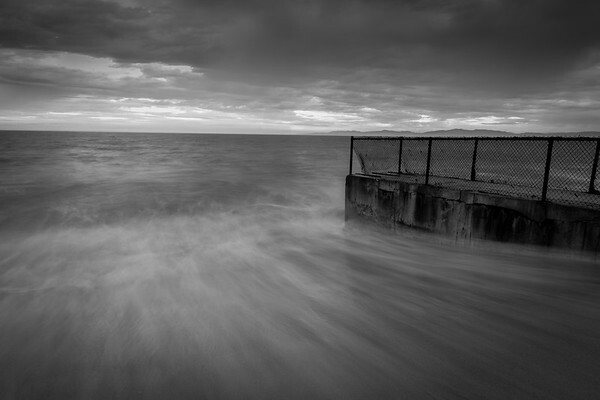 Canon 7D, Tamron 10-24. 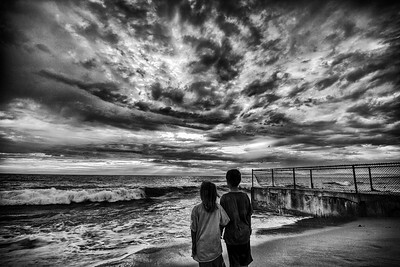 Boy and girl waiting on sand watching ocean storm evoking an end of days feel.